3CX is a free Windows SIP softphone. 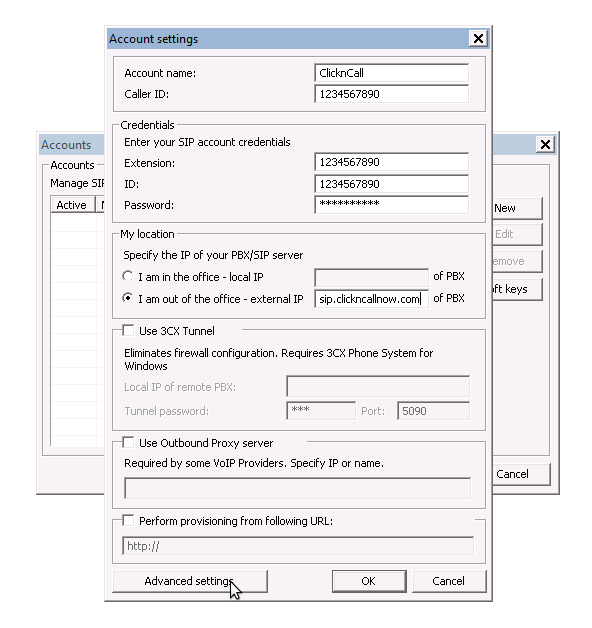 Here is the configuration for 3CX SIP using ClicknCall as the sip provider. Click "Create profile" to continue. Type in your 10-digit ClicknCall username and password, enter "sip.clickncallnow.com" in the "My location" section and click OK.